Laser Electrical Blenheim is your 'Totally Dependable' domestic electrician, providing high quality domestic electrical services for clients across the Marlborough region including Picton, Witherlea, Springlands, Blenheim CBD, Havelock and Seddon. 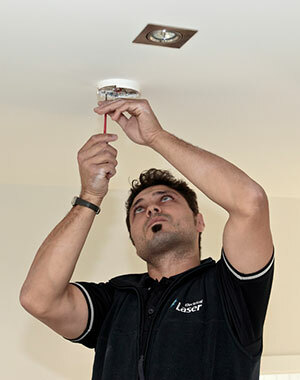 Our highly qualified and experienced electricians provide a wide range of electrical services for the home. We deliver electrical systems and solutions that work with your architecture and home requirements. Our responsibility is to provide you with the most up to date and innovative solutions for your home. That is why we work closely with our key suppliers to ensure we always deliver the latest technologies at a competitive price. 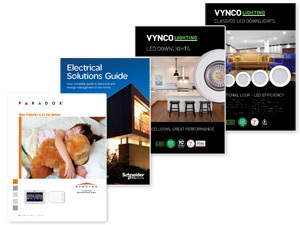 We have access to a wide range of quality products and along with our expert knowledge, you can rest assured your electrical décor and performance expectations are met. We believe energy efficient homes not only cost less to run but are more comfortable to live in. That is why you can rely on us to give you expert advice and the best solutions to make your home warmer, drier and healthier. At Laser Electrical Blenheim, we pride ourselves on providing excellent service at every level, and always look for ways to improve our business to meet and exceed our customers' expectations. We ensure consistent national pricing, high service standards and punctual, highly skilled technicians. From design to finish, our experienced team provide the expertise needed to ensure your electrical project is completed within critical time schedules and budgets. Laser Electrical Blenheim can take care of all your domestic electrical needs, so please contact us to discuss your requirements. Please see below for our downloadable catalogues.